The sixth expansion pack (and 26th pack overall!) for The Sims 4 arrived earlier this month, following in the footsteps of fame-themed packs from previous Sims games. 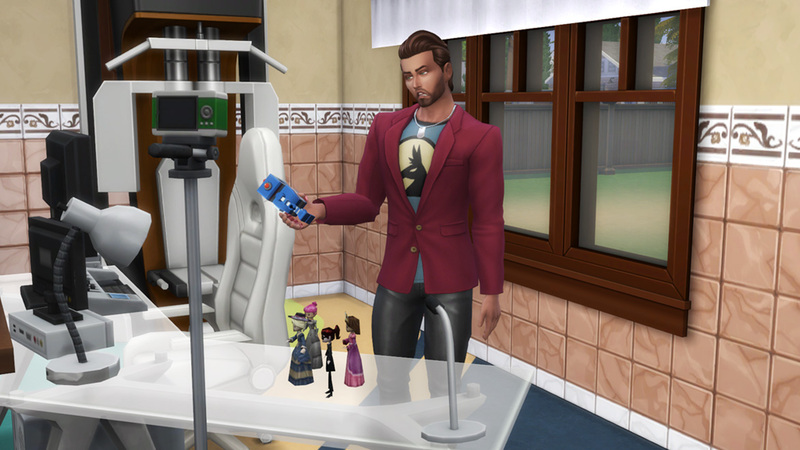 Get Famous lets your Sims experience the glitz, glamour, and even the dark side of fame. 2003’s Superstar was one of my favourite expansions for the original Sims game, and while there have been celebrity packs since then, Get Famous feels like Superstar’s spiritual successor. 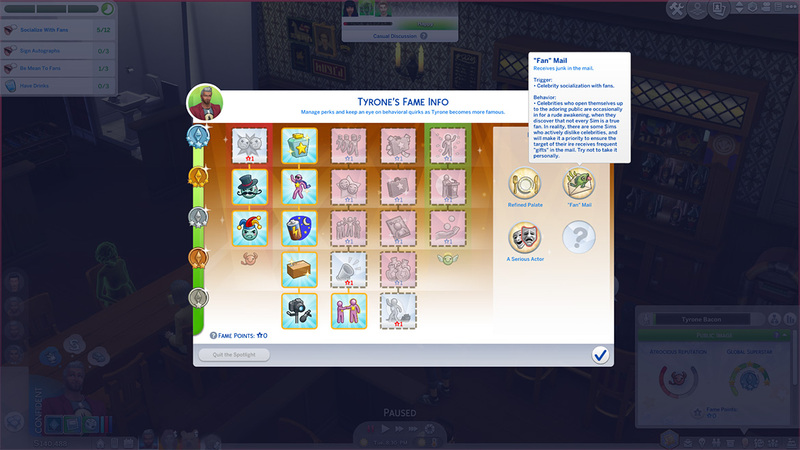 As you might expect, Get Famous introduces a fame system, where your Sim can gain fame and ‘level up’, starting out as a nobody and working their way up to become one of the most famous celebrities in town. Fame can decay over time, meaning your Sim will need to get into the spotlight on a regular basis, lest their adoring fans start to forget about them. As your Sim climbs the ranks, they’ll earn fame points, which allow them to unlock new celebrity perks. This is very similar to the power system from The Sims 4 Vampires game pack. These perks range from getting access to a PR agency to making it easier to make friends with other celebrities, to allowing your Sim to launch their own lifestyle brand. This helps differentiate your celebrity Sims from one another, giving you many different ways to play. To make things even more interesting, fame also comes with a reputation system. 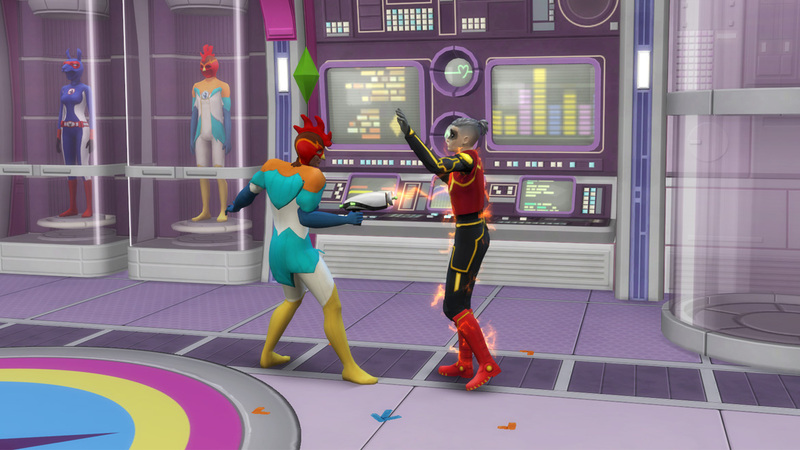 Depending on their actions, a Sim may get a good or bad reputation, which in turn unlocks new perks. It also changes how other celebrities and fans respond to that Sim. Sims with really good reputations can donate to charities and other celebrities will often be friendly towards them. On the other hand, a Sim that is rude to the paparazzi, their fans, or other celebs, will earn a bad reputation, and other Sims may hate them before they even meet them (though they can attempt to buy the friendship of other Sims). Once others hear about your Sim’s reputation, they may contact them with unique ‘opportunities’, including the chance to ‘help out’ a friend through money laundering. Fame can decay over time, meaning your Sim will need to get into the spotlight on a regular basis, lest their adoring fans start to forget about them. Fame comes with many perks, as well as some drawbacks. Celebs may develop quirks, such as having a ‘refined’ palate, or deciding that they do not like being touched. My celebrity Sim with the phone obsessed quirk was using her phone during her own wedding ceremony! And if any of this is too much for you or your Sims, you can also choose to opt out of the fame system entirely, either for one or all Sims. 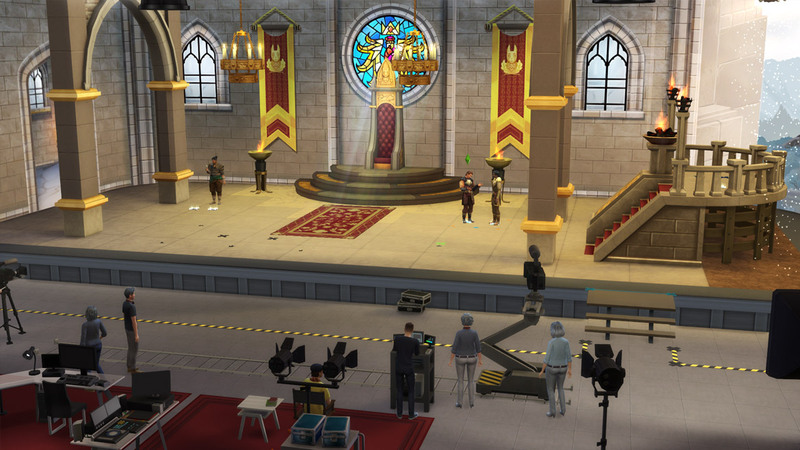 Living in a world of celebs brings a whole host of new gameplay options to The Sims 4. There are two new aspirations related to fame and the new acting career, plus the self-absorbed trait. Non-famous Sims can ask celebs for autographs or photos, or they may attempt to introduce themselves to a celebrity. They can enter the acting career and climb the ladder to the stars that way, beginning as an uncredited extra and working their way up to leading Sim status. 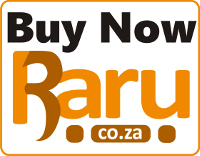 Aspiring actors will need to sign up with a talent agency, who will get them access to various auditions. Your Sim will attend these alone, but you can help them prepare by honing appropriate skills, such as charisma, comedy, fitness, or the new acting skill. The actor career is an active one, like the detective, doctor and scientist careers added in the Get to Work expansion. Once your Sim passes the audition, the shoot will be scheduled, and you can follow your Sim to Plumbob Studios and help them get their scenes just right. You can also send them off alone, but they tend to fare better with your help. Your Sims’ main tasks while on set are getting their hair and makeup done, getting into costume, then performing their scenes. There’s an impressive variety of costumes, sets and scenes to keep things interesting on set. You can choose to play scenes safely, or take the risky approach. Your Sim’s skills and relationships with their co-stars seem to have an impact on their performance – my Sim with an atrocious reputation earned himself a slap when attempting a risque kissing scene. Needless to say, that movie didn’t do too well! The acting career is a fairly straightforward way to get fame, as each performance, whether it’s an ad for dishwashing soap, or a role in a popular medical drama, or the leading role in a sci-fi epic, earns them some fame based on their performance. However, getting to that top fame rank is no easy task, and actors will have to work when off set to maintain their fame and reputation. Wannabe celebrities can earn fame by updating their social media profiles, hanging out with more famous celebrities, posing for photos, holding meet and greets with fans, practising scenes in public, live streaming with the new drones, or recording, editing and uploading videos. Successful celebrities can win awards, and may eventually earn a coveted star for the walk of fame! 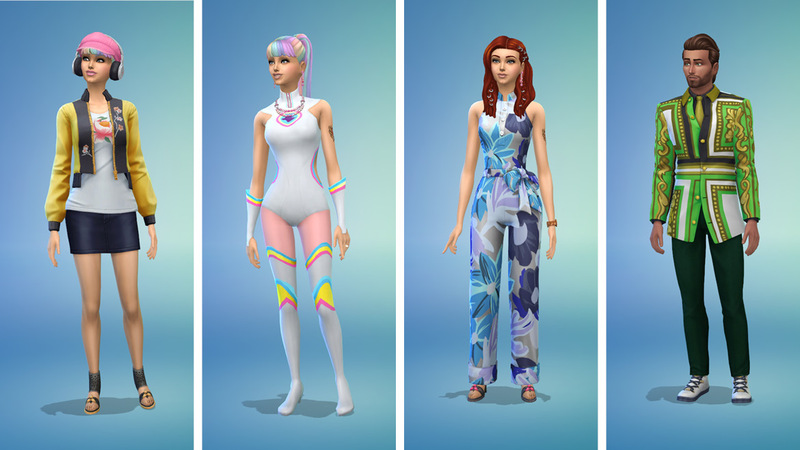 The free update that accompanied Get Famous included several new features like terrain manipulation, more basement levels and flexible foundation options, first-person camera, as well as the new style influencer career, which can also pave the way to fame for fashion-savvy Sims. Get Famous includes new a host of new items and things to wear. Some of these are costumes and set dressing for the acting career, but there are plenty of day-to-day outfits and items as well. There are lots of new clothing items and hairstyles for feminine Sims, a decent selection in the masculine category, and even a couple of things for kids as well. I was sold as soon as I discovered the pastel rainbow-coloured ponytail, but there’s tons of other stuff to wear that’s really quite cool. Famous Sims can also unlock fabulous items like a sparkly suit. 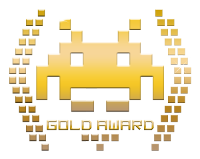 As always, there’s also new objects to buy and place in your Sims’ homes, from the new vault, to the media recording desk, to drones, to sleep pods, to chairs and other day-to-day objects, to a golden toilet, because nothing screams ‘fame’ like a golden toilet. Many of the new items are used in the acting career, including a huge array of set dressing and related items. There’s also a brand new world, Del Sol Valley, with 3 small neighbourhoods. There’s the Pinnacles, where the stars live, Mirage Park, where wannabes and the only vacant lot in this town can be found, and Starlight Boulevard, where the rich and famous can be found mingling with fans or hanging out in more exclusive locations. The venues and included homes are great as always, but the lack of space to build without bulldozing some of these lovely lots is a bit disappointing. With all the celebrity perks and quirks, a new active career, and all the fame-related activities, this feels like one of the meatiest expansions yet. 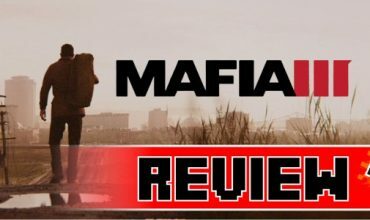 After many hours spent with Get Famous, I feel like I only scratched the surface of this expansion pack. With all the celebrity perks and quirks, a new active career, and all the fame-related activities, this feels like one of the meatiest expansions yet. Rising to the heights of fame is no easy task, and it takes more than just reading a few skill books to make it all the way to the top. Some of the new vlogging and influencer-related activities are almost a little too close to real life, and the acting career is a lot of fun. If you enjoyed previous fame-themed packs in the Sims franchise, or are looking for something fresh for your Sims to do, check out The Sims 4 Get Famous. 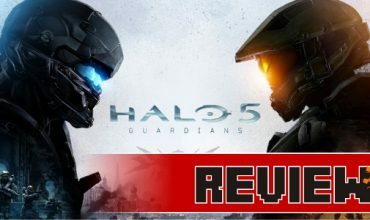 Disclaimer: This review was made possible by EA’s Game Changer Network. 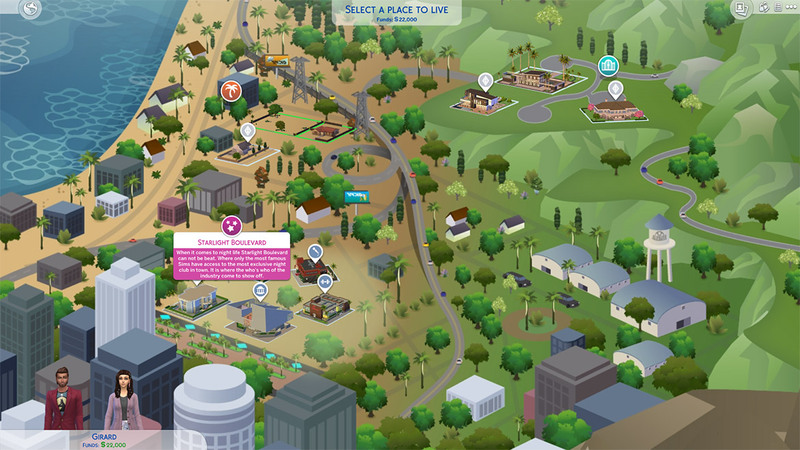 With a new world, a host of new items, a new career and a fleshed out fame system, Get Famous is an excellent addition to The Sims 4. If you enjoyed previous fame-themed packs in the Sims franchise, or are looking for something fresh for your Sims to do, check out The Sims 4 Get Famous.